Colorado Overhead Door Co. offers all sorts of options for those looking to purchase garage doors in Denver and the surrounding area, and with so many choices, it is always nice to hear what the professionals have to say about their products. Opposed to wood, metal is a very easy material to work with, as modern shops can bend, stretch and mold it into just about any shape they need. Fortunately for us, these alterations can be done without actually decreasing the strength of the metal itself. Steel Garage doors are proven to be some of the most durable on the market, and when searching for designs and color schemes, the choices are nearly endless. Along with the durability factor, steel garage doors tend to weigh much less and do not require the same strength to open. Even without your garage door opener, a properly weighted door should be easy to open manually. 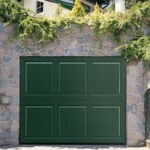 Do Steel Garage Doors Have Disadvantages? While most factors associated with steel doors can be seen as advantages, there are a few important things to consider before making your selection. Steel doors come in many different thicknesses, and you need to make sure that the door meets your expectations. Naturally, a thinner door will allow more noise to pass into your garage, where a thicker door would ultimately give you a quieter environment inside your garage. 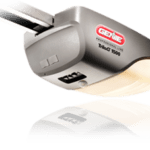 While talking about the thickness of your garage door, it is also important to note that these doors also offer many different levels of insulation. Those looking to purchase garage doors in Denver and the surrounding area must take weather into consideration, as thinner and less insulated doors will allow more warm air to exit while giving the cold winter air an easier pathway to your home. 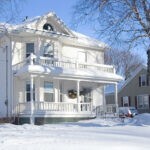 Cheaper doors tend to have less insulation, so be sure to address this concern with an expert before making your selection. Give Colorado Overhead Door Co A Call! 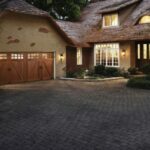 Having installed thousands of garage doors in Colorado, we know which options are best suited for your needs. Give us a call today and Colorado Overhead Door Co.’s garage technicians will be happy to assist you with your decision and offer you a free quote as well.